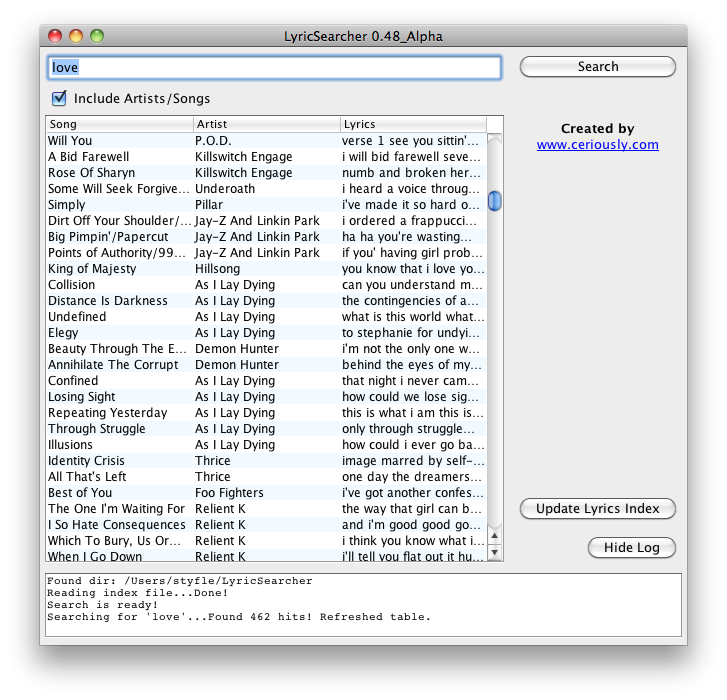 LyricSearcher is a tool to find songs in your iTunes library by search for a string of lyrics. Why would you want to do this? Chances are, you don't have much metadata attached to your songs and iTunes only searchers song title and artist anyway. What if you want to find all songs that say the word 'love' for instance. You can't google that. Enter LyricSearcher. 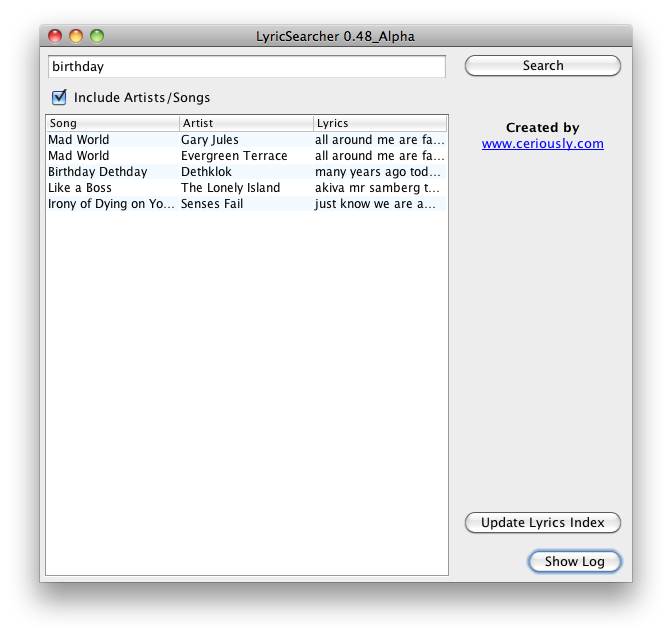 LyricSearcher uses Lyric Wiki to create a local copy of all lyrics to all your songs and stores it in your home folder. 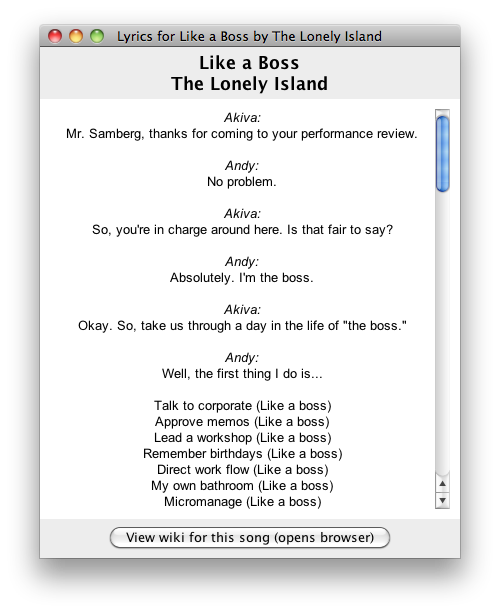 The first time you run the program, it may take awhile to download all your lyrics, but as long as you don't update, subsequent launches should be much quicker. 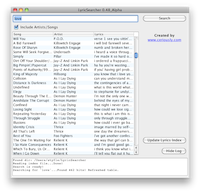 LyricSearcher is not very optimized and has only been testing on libraries with less than 3000 songs.